Are you curious about constellations, marveled by the Moon, or spellbound by stars? Now you can pursue or spark a love of astronomy at home with a telescope that can be checked out from the Joel D. Valdez Main Library. 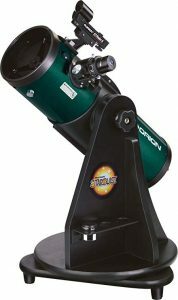 A gift from the Tucson Amateur Astronomy Association (TAAA), the 4.5-inch Orion StarBlast is well-known for its easy operation and compact design. 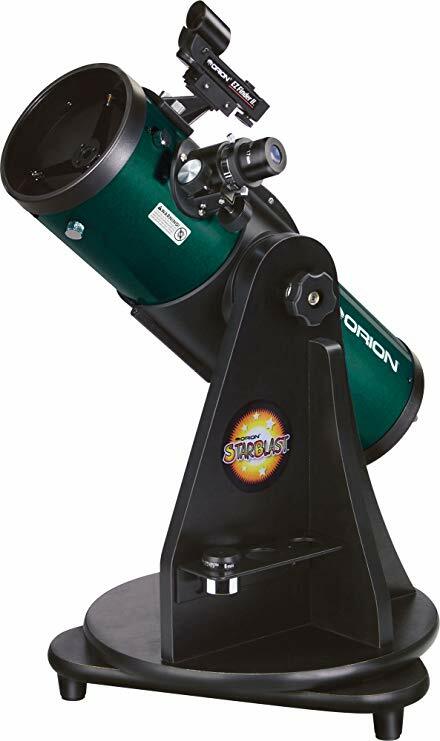 The telescope is a great introductory level instrument capable of imaging the moon, planets, and distant celestial objects, including the Andromeda Galaxy, located 2.5 million light years away! 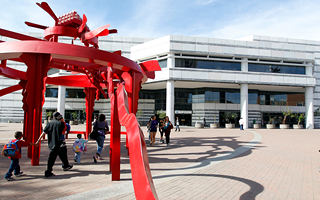 The telescope can only be borrowed from and returned to the Joel D. Valdez Main Library Children's Department, and cannot be reserved or renewed. TO AVOID SERIOUS EYE INJURY OR BLINDNESS, DO NOT LOOK AT THE SUN WITH THE TELESCOPE. PCPL IS NOT RESPONSIBLE FOR ANY INJURY CAUSED BY IMPROPER TELESCOPE USE. When you check the telescope out you are responsible for the proper transportation, use, and care of the telescope at all times. The telescope must be treated with care and handled as instructed by PCPL staff. DO NOT TOUCH, WIPE OR CLEAN THE LENS. This will damage the protective lens coating. Handed to a staff member at the Children’s Department Service Desk, not placed in a drop box or left outside the door. There is no fee for checking out a telescope. Overdue fees are $1.00 per day, for the first two (2) weeks after the due date. If a telescope is not returned within two (2) weeks of the due date, the PCPL customer will be charged current replacement costs. Replacement costs can be several hundred dollars. Actual replacement costs will be assessed for any part that is not returned with the telescope. If the telescope, or any part, is damaged, either from improper care or improper return, the actual cost of repair or replacement, whichever is less, will be charged. The TAAA is one of 10 astronomy clubs nationwide to receive a library loaner telescope through the Astronomical League’s Horkheimer Charitable Fund in 2017. The Astronomical League includes more than 240 astronomy clubs throughout the United States. For more information about the event please visit library.pima.gov. More information about the Tucson Amateur Astronomy Association can be found at tucsonastronomy.org.